Soft cover books available for purchase in bookstore on www.blurb.com under Arts and Photography and author name, Phyllis Thomas or book title. This publication is meant to illuminate and cultivate an awareness of divinity everywhere and always. It is an image journal to record a brief summary of personal insights about your own time. I took my inspiration from medieval history and the personal marking of time with daily prayers in the Books of Hours. 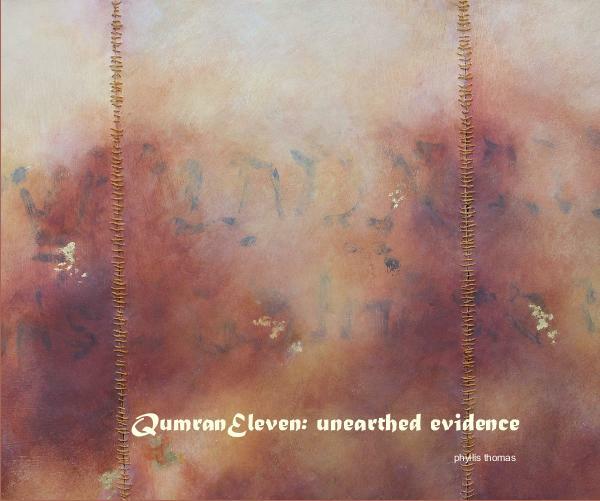 This publication includes all the images from the QumranEleven series. They reference the hand-written pieces of parchment and papyrus scrolls that were discovered in eleven of the Qumran Caves from 1947-1956.